Posted on December 11, 2014 at 7:32 pm. 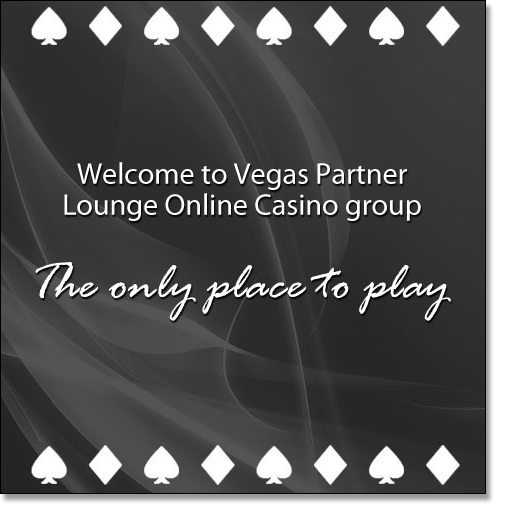 The Vegas Partner Lounge Group is a prominent gaming group made up of a partnership between six online casinos and three mobile casinos. The group takes an innovative and commendable approach to the way it handles itself within the gambling industry, making a promise to deliver entertainment of the highest calibre within a secure and safe environment, using customer service of the highest degree. The Vegas Partner Lounge Group brands include Crazy Vegas Casino, Golden Riviera Casino, River Nile Casino, Maple Casino, 777 Dragon Casino, Crazy Mobile Casino, Golden Riviera Mobile and our personal favourite and highly recommended site, Casino Mate. The group has a reputation for its reliability and enthusiasm and is recognised worldwide for its honesty and outstanding service levels. In an industry that people have a tendency to be wary of, the Vegas Partner Lounge ensures complete peace of mind and consists of ethical organisations within the casino industry that give back to the community and truly care about their players. Most commendably of all, since the group’s creation in 2004, the Vegas Partner Lounge has been making sizeable charity contributions each year to those in need. Last November alone the group raised an outstanding $18,000 through the Naughty November promotion to donate to SOS Children’s Villages in South Africa. This charity is an international organisation that established a tender, family like approach to taking care of orphans and abandoned children, providing villages and foster parents so children can grow up feeling safe and loved. The money donated by the Vegas Partner Lounge Group will help this wonderful organisation to continue the high level of care they provide to children in need, while running various projects that support community awareness around childcare skills, HIV prevention and income generation. In 2010, the Vegas Partner Lounge Group raised a huge $18,493.17 through all proceeds made by three of its most popular games as part of its World AIDS Day Charity Drive, with an added act of generosity bringing the total donation up to a full $20K. The money went to Nkosi’s Haven, a non-profit organisation based in Vereeniging, South Africa which provides care to orphans who lost their parents to HIV, as well as poverty stricken mothers infected by the disease. Vegas Partner Lounge Group has a strong history of donating to AIDS charities and fully supports an AIDS and HIV free future. In 2009, the group donated $9,000 towards Oxfam’s disaster recovery program after the devastating Haiti earthquake killed over 220,000 people and caused an inconceivable amount of damage. The donation went towards Oxfam’s Haiti Relief efforts to provide clean water, sanitation services, shelter and healthcare to the hundreds of thousands of Haitians who were affected by this tragedy. Other charities the Vegas Partner Lounge Group has donated to include the Hospice Wits, Japanese Red Cross Society (as part of the Japanese Earthquake relief program), Cotlands, Leratong Hospice, Sparrow Rainbow Village, Nebraska AIDS Foundation, Victims of Hurricane Katrina and Victims of Thailand’s Tsunami. By making sizeable contributions to these noteworthy organisations, the group is not only able to financially assist those who need it most, but also to spread awareness of these causes to its dedicated players. The online venues that make up the Vegas Partner Lounge let players know certain percentages of their wagers will go towards different charity drives, subsequently creating much needed awareness to people all across the world. Players can feel good about knowing their money is going to helpful places, while having the potential to make some personal contributions of their own, or spread the word to friends and family. The charity initiative provided by the Vegas Partner Lounge Group is a commendable movement that will hopefully encourage and inspire others within the industry to take positive action to help give back to the community. Initiatives like this help remind us that despite the casino industry being a multi-billion dollar industry, there are many kind and compassionate people within the industry using their profits towards making a positive difference in the world – it’s not all money-hungry, heartless business moguls. Each of the online casinos that makes up the Vegas Partner Lounge offer players fast cash-ins, 24 hour enthusiastic service, fabulous promotions and better chances of winning than anywhere else on the Internet. 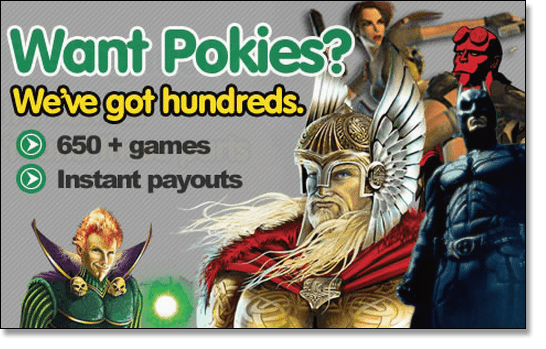 All of the games offered within these sites are powered by Microgaming – one of the best companies there is in the manufacturing of online gaming products. There are over 650 popular game titles on offer within each of the virtual casinos, with the choice of downloadable software or instant play online, for free or real money wagers. The Vegas Partner Lounge Group is fully accredited by the Lotteries and Gaming Authority of Malta, ensuring all practices are 100% legal, secure and above board. This reputable organisation provides an admirable example of what the online casino industry is capable of and continues to influence others to follow its lead.